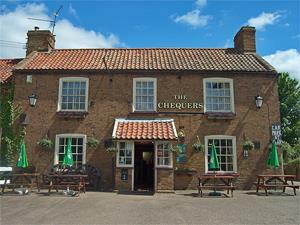 The Chequers01366 386768work Public HouseFamily run free house pub serving real ales and home cooked food. We are dog-friendly with lots of good walks surrounding the village. Our Sunday lunch is very popular, as well as our Wednesday evening Steak Night - £8.95 for an 8oz rump or gammon steak. Large parties can be catered for with prior booking. Family run free house pub serving real ales and home cooked food. We are dog-friendly with lots of good walks surrounding the village. Our Sunday lunch is very popular, as well as our Wednesday evening Steak Night - £8.95 for an 8oz rump or gammon steak.